Samsung has launched two new smartphones called Samsung Galaxy S8 and the Galaxy S8 Plus. Both devices came with incredible specifications and features. Though, difference between both phones are the screen size and battery capacity. They came with the same RAM size and Internal memory, both runs on Android 7.0 Nougat. 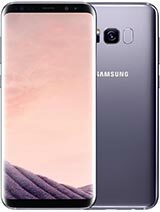 See more specifications and price of Galaxy S8 Plus.